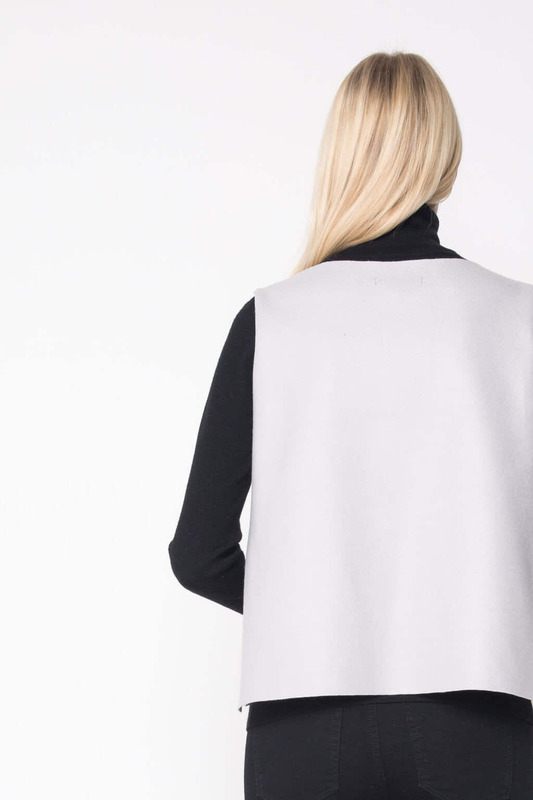 Perfect for elevating your outfit, this minimal vest consists of a felt inspired fabric that's soft to the touch and comfortable to wear. 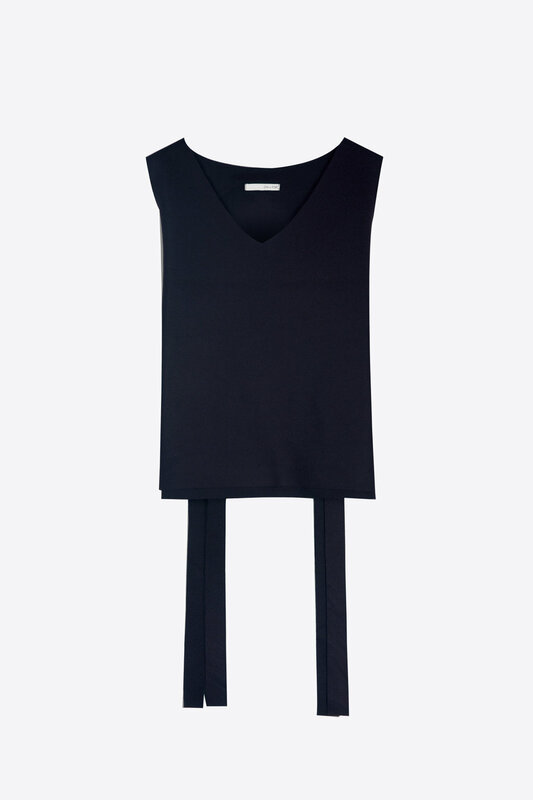 It features a v-neck, a unique unfinished hem, and elongated side slits with lengthy ties. Layer over a classic button up blouse for a sophisticated look.